Workers are not poor and disadvantaged because they have been left behind. They are poor because they are being robbed. H&M window, Moscow, 2016. Flickr/dly.disco. 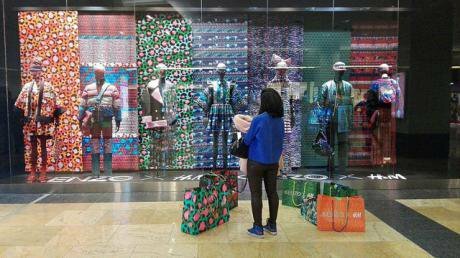 Some rights reserved.Fashion giants like H&M and Zara stand to save millions on tariff-free exports from Sri Lanka. The EU has again granted the country a ‘preferential’ trade concession earlier withdrawn in response to human rights abuses of Tamils in the final stages of the civil war. In response to an outcry from civil society and unions, a delegation from the EU is now in Sri Lanka to decide on how to adequately monitor labour standards. It sounds abstract enough. But in reality what it amounts to for workers on the ground is the difference between getting paid enough to live – or not. While increased profits will flow to the industry, Sri Lanka’s 300,000 garment workers will receive no benefit, continuing to earn so little that their wages don’t cover basic living costs. It is the fashion brands that control the style of clothes to the last stitch, while pleading ignorance on rights violations in their factories. The Generalised Services Preference Plus (GSP+) arrangement is for low-income exporters to the EU and links the removal of export tariffs with core human rights and labour standards, purportedly as an incentive. This agreement primarily affects the garment manufacturing industry which dominates Sri Lanka’s exports to the EU. But trade concessions like the GSP+ benefit big corporations much more than the countries they’re awarded to – let alone its workers. Trade rules that are conditional on labour and human rights standards have been widely criticised for serving as smokescreens for the EU to continue the extraction of resources and exploitation of labour from their ex-colonies in the global South. Across the island, the mostly female, internal migrant workforce work at least 6 days a week for up to 16 hours a day. In the case of Sri Lanka’s 12 Free Trade Zones, workers are completely isolated; working behind high walls and electrified fences with unions denied entry, effectively limiting outside contact. This arrangement is deliberately designed to keep workers in the dark about their rights and prevent them from collectively improving their working conditions. 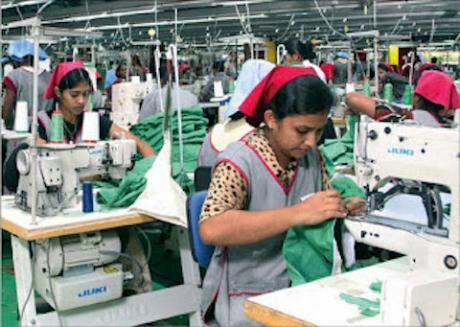 At the forefront of the fight for labour and union rights in Sri Lanka’s garment factories is the Free Trade Zones and General Services Employees Union (FTZ&GSEU). Anton Marcus, the General Secretary, says: “The EU says Sri Lanka now meets labour and human rights standards but core ILO conventions still aren’t implemented through legislation, let alone practice. The only people benefiting are the same as always, and there is nothing done to ensure workers benefit at all.” By returning Sri Lanka’s GSP+ status, the EU is giving the stamp of approval to their labour standards and whitewashing its systemic human rights abuses while undermining local efforts to fight for change. Within this fraught context, groups like FTZ&GSEU and we at War on Want have advocated for the EU to listen to the voices of workers, recognise the reality of labour exploitation and ensure that this time around, GSP+ benefits the workers creating the wealth. FTZ&GSEU have pushed forward a policy roadmap to ensure labour rights can be practically achieved for factory workers, in particular the fundamental right to form unions and collectively bargain. But it’s a fine line we walk here. Appealing to the EU for worker benefits through GSP+ risks concealing the root causes of the inequality and exploitation dividing the global south from the north, specifically, international trade as one such cause. The terms of global trade, overwhelmingly dictated by states and corporations in the global North, prevent the global South from developing their industries and economies in a way that lifts the standard of living for post-colonial states. The terms of global trade, overwhelmingly dictated by states and corporations in the global North, prevent the global South from developing their industries and economies in a way that lifts the standard of living for post-colonial states. The EU is instrumental in driving the privatisation of goods and services in the global South through trade and investment rules that impose brutal austerity measures. The result? Greater wealth inequality than the world has ever seen. To then address labour exploitation in factories as a technical, rather than a structural issue is at best ineffective and at worst, an exercise in corporate whitewashing. Workers are not poor and disadvantaged because they have been left behind. They are poor because they are being robbed. Exploitation of factory workers in the global South is embedded in the international supply chains of the garment industry not accidentally, but by design. It is the fashion brands that control the style of clothes to the last stitch, while pleading ignorance on rights violations in their factories. But the truth is far simpler. In a system where the only goal is profit for the few, the workers lose out. The apparent impunity enjoyed by fashion brands is not accidental, either. What little legislation the EU has introduced to ensure they comply with basic human rights, it rarely enforces on the ground. The corporate social responsibility rhetoric has been used to flip the narrative, presenting fashion brands as benevolent bringers of development to countries otherwise unable to provide jobs for their citizens. The working poor make our clothes, grow our food, mine the earth for our mobile phones, and yet it’s not only the products of their labour that are treated as disposable; it’s the people too. As Vandana Shiva says, ‘in every scheme that worsens the position of the poor, it is the poor who are invoked as beneficiaries’. New apparel factory, Mannar, Sri Lanka, 2012.In the context of a global system rigged in favour of old colonial powers, the implications of EU ‘support’ for labour and human rights through conditional trade mechanisms like GSP+ must be critically interrogated – not simply accepted as a substitute for addressing systemic causes of exploitation and injustice. While the EU practices protectionism to ensure that trade in goods and services happen on their terms, for their gain, their aggressive ‘free trade’ agenda is fulfilled at the expense of attempts on the part of Southern countries to protect vulnerable local industries from the overwhelming competition of cheaper imports. To seriously address a system that treats people as disposable requires a complete overhaul of international trade. As it functions now, it is an inherently imperialist intervention sustaining the plunder of resources and labour from the South while depicting the process as a service to the human rights of those it exploits. As Vandana Shiva says, ‘in every scheme that worsens the position of the poor, it is the poor who are invoked as beneficiaries’. Until we can reveal the inherently imperialist nature of global trade and finance and its impact on everything else– wages, conditions, what gets produced for whom and at what price– we will be stuck strategizing about how to divide the crumbs of capital amongst factory workers in the South, while the CEOs in the North celebrate both their spoils and supremacy.